Perfect for narrow or sub-compact tractors 12hp and up, these mowers are ideal for cutting in orchards or vineyards. It is robustly built with hammer blades, meaning it will cope with brambles and thicker cuttings. 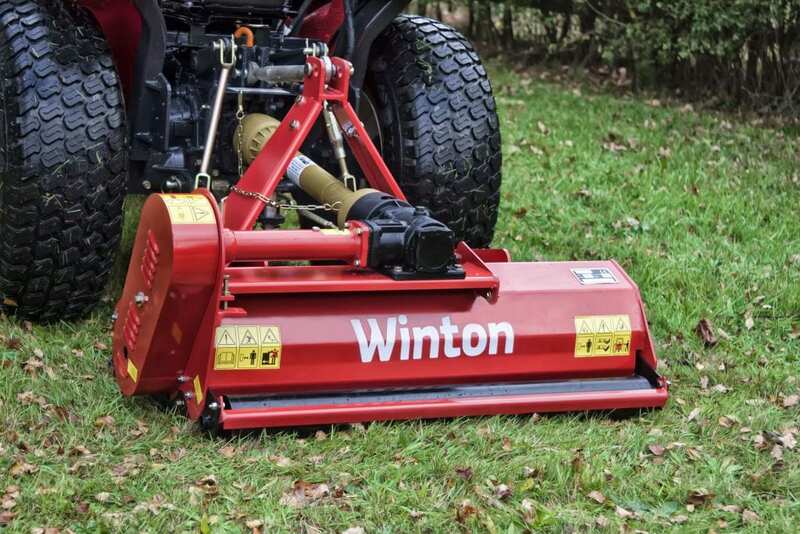 The lightweight body also means it can leave a fine lawn finish if used regularly. Easily adjustable cutting height range of 3-8cm.